At the Hyatt Centric Chicago Magnificent Mile Hotel, you're in the heart of Chicago, steps from Michigan Avenue, the Gold Coast neighborhood, and Lake Michigan. Our urban hotel is symbol of hospitality on The Magnificent Mile. To the east, guests are a short walk from the shores of Lake Michigan and Chicagos premier destination for fun, Navy Pier. To the west, one block separates you and the famous Magnificent Mile, home to exclusive high end shopping and boutiques. The Chicago Loop and Theatre District is a 7 minute walk to the south, while the historic Chicago Water Tower and John Hancock building are a short walk north! The Hyatt Chicago Magnificent Mile is the perfect starting point for all of your Chicago destinations. As of May 2013, all guest rooms have been fully renovated. Guest rooms feature luxurious Hyatt Grand Beds, new carpeting, new wall covers, draperies, and large work desk. Guests will enjoy the clarity and size of the 46 Flat Panel LCD HDTVs in all guest rooms. The Hyatt Plug Panel media station and Stereo iPod docking station keeps guests connected and entertained throughout their stay at the Hyatt Chicago Magnificent Mile. All rooms feature compact refrigerators and complimentary in room safes for guest use. For dining, guests will be amazed by the open yet intimate atmosphere of Level 2. A wide variety of cuisine and specialty cocktails await patrons of Level 2. From Pizza to Sushi to Burgers to Steaks and beyond, Level 2 has something for everyone. The hotel also features a full service Starbucks on site, and Room Service until midnight (hours subject to change without notice). Level Two: Featuring American regional cuisine with a focus on thoughtfully sourced, carefully served ingredients featuring craft beer, fine wines and skillfully crafted cocktails. Level Two Bar: Level Two Bar features American regional cuisine with a focus on thoughtfully sourced, carefully served ingredients featuring craft beer, fine wines and skillfully crafted cocktails. At Hyatt Chicago Magnificent Mile you're in the heart of it all, just steps from Chicago's Gold Coast and Lake Michigan. The hotel is merely one block away from the world famous Magnificent Mile, where a shopping adventure of a lifetime awaits. We are also located just a few blocks away from Navy Pier, where you can find family friendly entertainment, shopping, dining, and other fun events. The hotel is a short walk to the Chicago Water Tower, and guests can walk to the Loop in ten minutes. 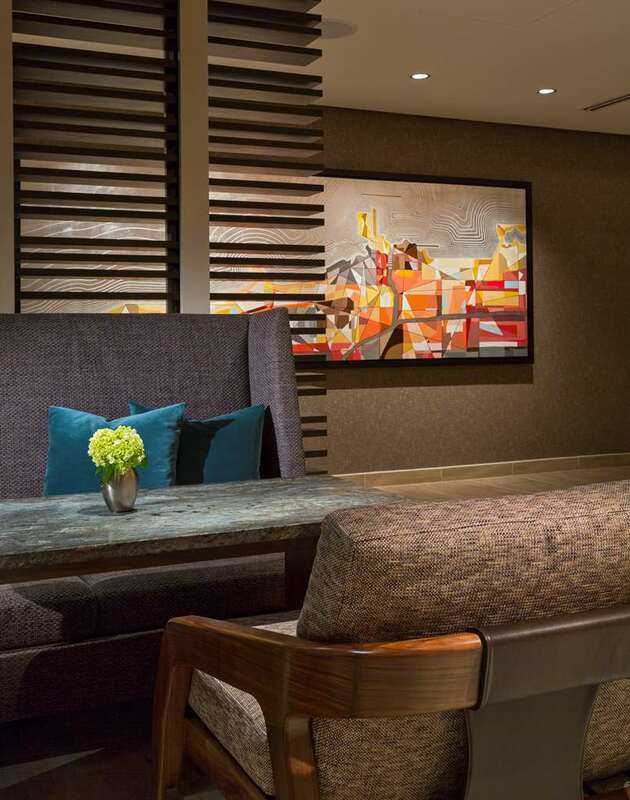 The Hyatt Chicago Magnificent Mile is the perfect starting point for all destinations in Chicago. Going to Wrigley Field, Soldier Field or US Cellular Field? The CTA red line is just 5 blocks away, getting you to both to your game or concert quickly. The hotel is ideally located for both business and leisure, close to numerous corporate offices and tourist attractions. The Hyatt Chicago Magnificent Mile invites you to use our hotel as the starting point for your Chicago adventure. Our full service concierge can arrange most any activity in Chicago to make your trip even easier.